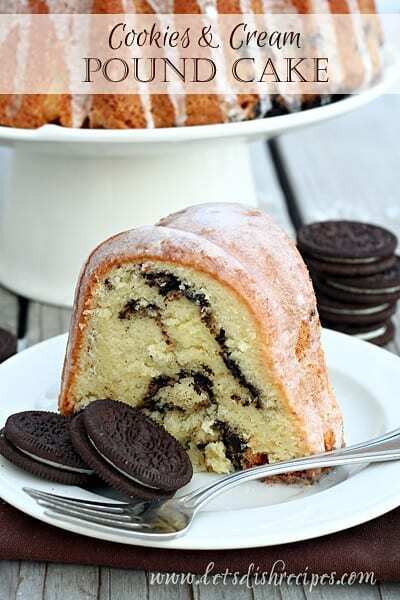 I think it’s pretty safe to say that cookies and cream is a pretty popular flavor for just about any dessert. Ice cream, cheesecake, you name it, everyone loves it! 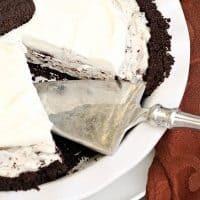 It seems you just can’t go wrong serving a cookies and cream dessert, so you’ll definitely want to add this Cookies and Cream Pie to your recipe collection! Besides being amazingly delicious, this pie could not be any easier to make. Which makes it a big winner in my book! With it’s short and simple ingredient list, this is the kind of dessert you can whip up at a moment’s notice. And it’s a great excuse for keeping a package of Oreos handy at all times! This is the kind of dessert my boys absolutely love. And my husband is a cream pie fanatic, so he loves it too. This is also the kid of dessert my kids can help me make. I always try to get them involved in the kitchen whenever I can. In fact, they could probably put this pie together completely on their own. 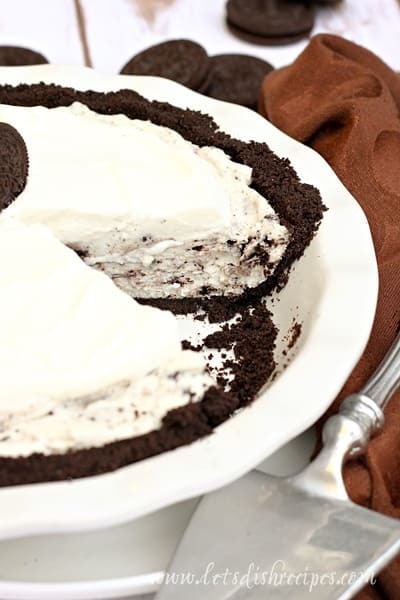 You can make this pie with one package of Oreos, if you don’t sneak a single cookie for yourself. But who on earth has that kind of self control? Just buy two packages and save yourself another trip to the grocery store. And of course you can throw a few extras cookies into your pie filling. That’s what I do! 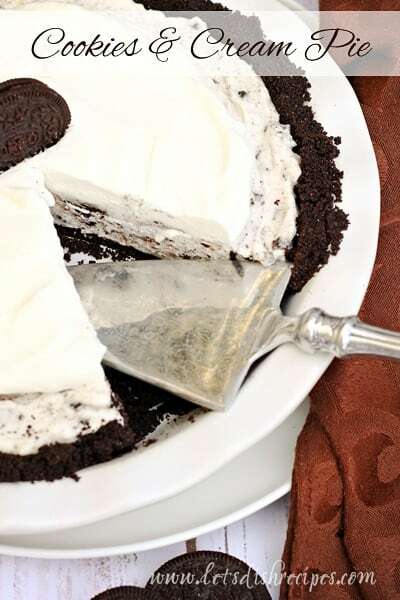 This cool, creamy pie is destined to be a hit just about anywhere you serve it. It’s definitely a family favorite at our house, and one we’ll make again and again. Add Oreos to the bowl of a food processor and pulse until fine crumbs are formed. Stir in melted butter. Press crumbs into a 9-inch pie pan. Bake for about 10 minutes, or until set. Cool completely. In a large bowl, beat the cream cheese and marshmallow cream with an electric mixer until smooth. In a separate bowl, beat the whipping cream and sugar with an electric mixer until soft peaks form. Remove 1 1/2 cups of the whipped cream and place in the refrigerator. Continue beating the remaining cream until stiff peaks form. Fold the stiff whipped cream into the cream cheese mixture. Fold in the crushed Oreos. Spread the filling into the cooled crust. Top with the reserve whipped cream. Garnish with an Oreo before serving, if desired. Don’t forget to save this quick and easy dessert recipe to your favorite Pinterest board for later.